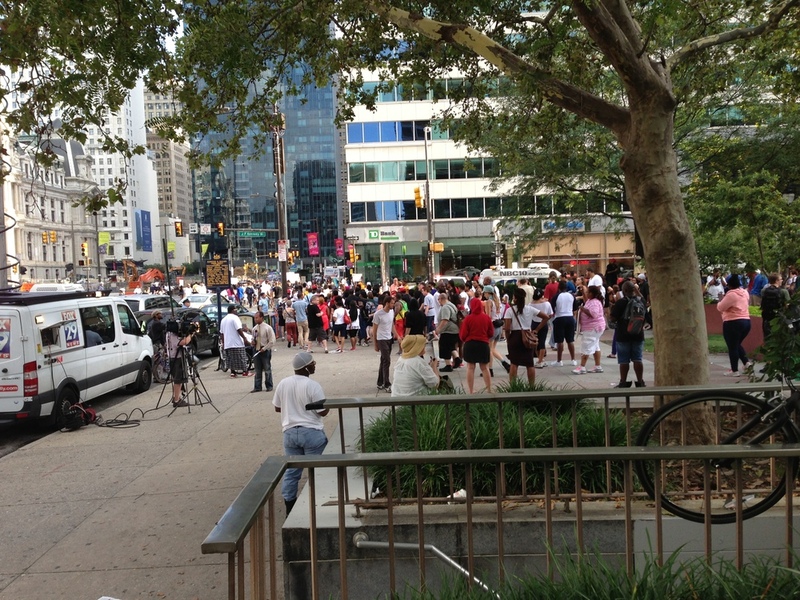 The rally at Love Park (Center City Philadelphia) for the verdict in the Trayvon Martin killing. 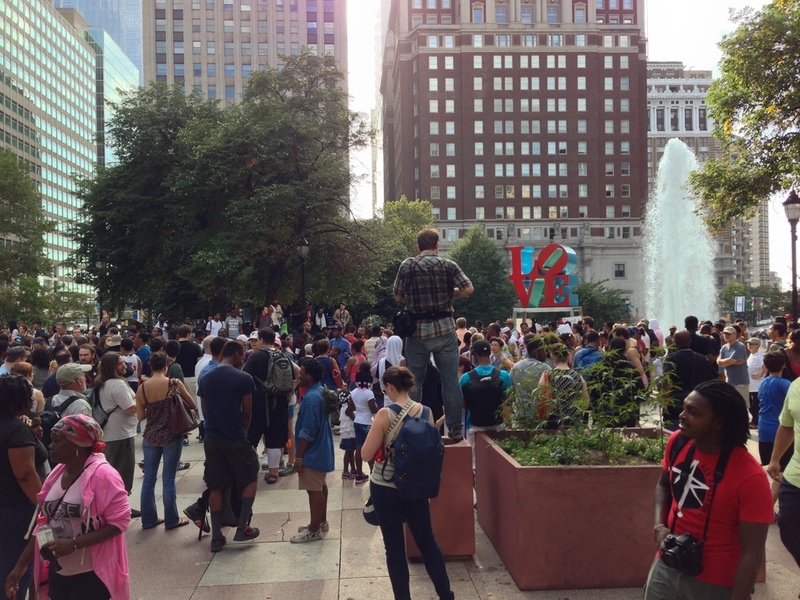 I'm not much of one for rallies, as I tend to think they're often counterproductive, but I thought I'd take a look at the Trayvon Martin rally in Love Park, since it's only about five blocks away. There were signs calling for boycotts of Florida tourism and orange juice; those seem to me to be misplaced, as those industries have nothing to do with the case. I had no sooner arrived at about 6pm, when the rally turned into a march, and the people started heading down 15th street, blocking traffic as they went. The Trayvon Martin rally in Love Park becomes a march down 15th street; don't know where they were headed.